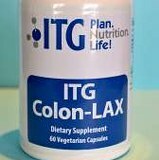 It utilizes two proven ingredients, magnesium hydroxide and triphala, to improve bowel motility and tonicity. It can be used as both a fast acting mild laxative for short periods of time as needed, or as a daily bowel detoxifier for anyone in need of a long-term tonic to help strengthen and tonify the bowels. Magnesium hydroxide is a well-known ingredient in laxative and antacid formulas. It works by osmosis which draws water from surrounding tissues to the intestines. This local increase of water not only softens the feces, but actually increases the volume of the feces, which promotes intestinal motility. Triphala is one of the most widely used botanical formulas in Ayurvedic medicine for gastrointestinal health, including promoting smooth functioning of the bowels and reliving constipation.